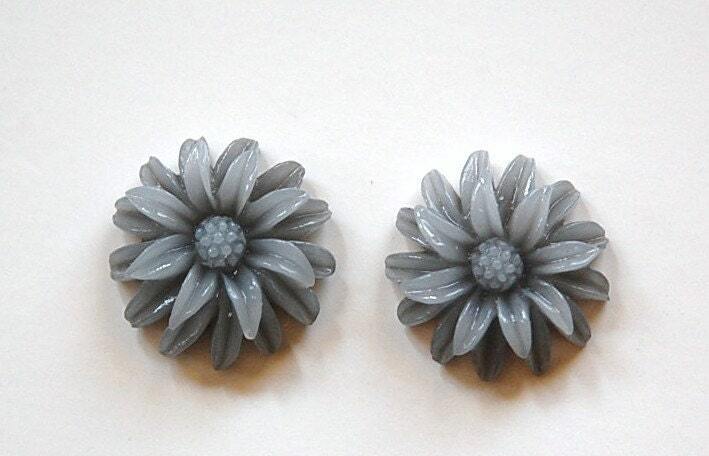 These are acrylic flower cabochons. They look to be layered with the top layer a lighter shade of gray than the bottom. These measure 19mm. You will receive 4 pieces. Perfect for cat jewelry picture I'm working on. Received item in a few days. Lovely and unique cabs! Fastest shipping around.